I also remember having to go to the Buckmore Park pool for swimming lessons. DavidT: Your memory is clearly better than mine, and it's good to see some of the teachers I remember who were missing from the first photo now included. I think I can concur with most of your names. I had a couple wrong in my earlier post (who I thought was Mr Trower was actually Mr Davidson the librarian) and the three female teachers sitting together, could the lady on the right (in white) be Mrs Pilcher? And I think the teacher between Mr Stevens and Mr Fielder may be another Mr Davidson who was a student teacher when I was there. 1. Nice to see my favourite teacher again - Mr P Green. Took me for English for two years. A true gent. Pinstripe suit and an old fashioned but informal method of teaching that just commanded respect. He had a reputation before he became my teacher for being a bit hard, but so long as you did your work, he was up for a laugh afterwards. If he's still about now, he'd be deep into his 90's. Would liked to have said thanks to him. Doubt there's any more teachers like that any more, which is a loss to kids of today I reckon. 2. Ties tied with the thin side showing. Guilty as charged for most of the time I was there. Now I know what Smiffy meant by "sunken garden." Yes, there were two mobile classrooms there and as you mention, one was a language classroom complete with cubicles and headphones and the other a basic classroom. Behind the language one, between the garden area and the new buildings was the aviary, adjacent to the steps down to the school hall. I remember the coach, complete with school logo on the side. Can't recall ever going in it though - they always seemed to use contracted coach companies for school trips etc. Teachers I recognise left to right are Gosden, Len, Thomas (I think), ?,Johnson, Carmen, ?, O'Hara, Field, ?, Shock, Rogers (I think), McMonies, Simon, Tidswell, Stratford, Gregory. I've just realised I posted the same photo twice by mistake, so here is the second bit. Continuing along the line - Davidson, Searle (I think), White, ?, ?, ?, Delay, Trower, Green, Barley, Stevens, ?, Fielder, Chapman, ?, ?. Hope I've got these right (in case any of the teachers named are forum members!) Apologies to those I can't remember! In my time the sunken garden had a mobile classroom on it, split into two classes with a locker room between - used for languages. I think the left hand one was my form room in my first year and again in my fourth or fifth. The right hand one was Mr Delay's classroom. I don't remember there being an aviary anywhere, but I do remember a fishpond between the new building and Chatham South. Do you remember the old school coach? My Dad was a coach driver and he volunteered to drive it on one of the Holcombe Association trips - he said it was awful to drive. Looking back at your original post Scrumdown, I too was fascinated by the history of the old building. Even now I have a print of it as originally built on my wall. I'll take a photo and add it when I get time. I did briefly get legitimate access to the upper floor as a member of the after school model railway club - there were about four of us and the layout was kept up there. I never went into the observatory, but I remember there being a lot of pigeons living up there. The floor wasn't 100% either! DavidT: Excellent photos! As you say, I'd left by 1987, but my younger brother is probably there somewhere, although I can't spot him. As for the teachers row, my memory tells me left to right - Gosden/Lane/?/?/?/Carman/McManus/O'Hara/?/?/?/Rogers/McMonies/Irving/Tidswell/?/Gregory/Trower. Smiffy: I remember the "garden" which I believe had an aviary too??? It was to the south of the patch of grass I remember, said patch being in DavidT's last colour picture - where the shadow of the old building falls to the left of the trees. I have one whole school photo, but it's from 1987 so it's after your time Scrumdown. I've just scanned the centre bit so you can see which teachers you recognise. I'm in the photo, top left, back row of the first picture. 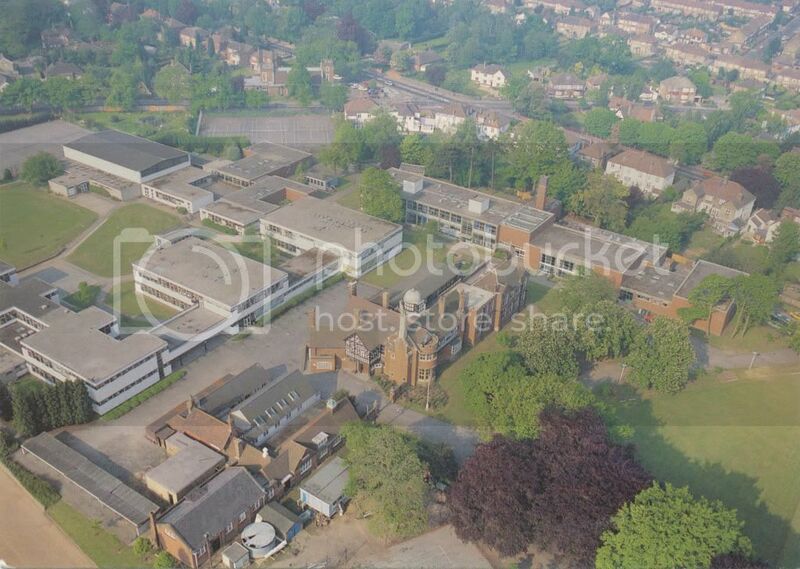 I've also got some photos from the 1984 prospectus plus two aerial views taken from the school's 75th anniversary. I was there from 1984 to 1991 and remember most of the same teachers as you Scrumdown - makes sense as we overlapped by a couple of years. I've dug out some old papers (school prospectus and prizegiving lists to see who you've missed. Mr Barley - Maths. I'm sure he also taught us Computer Studies later on. Miss Carman - Maths & Physics. I think she taught us for Maths in the 1st or 2nd year. Mr McManus - Physics. Don't remember him. Mr O'Connell - Physics and Maths. He did an exchange with another school (Walderslade Boys?) and his son was in my class. Miss Rhodes - English & Drama. I think she left before I started and was replaced by another Mr Davidson. Mr Simon - Soical Studies. He taught us Economics in the sixth form. Mrs Cooper - Modern Languages. Don't remember her. Mr Henn-Macrae - Modern Languages. Don't remember him. Mrs Johnson - RE. I think she was Scottish. Something I'd forgotten is that Mr Delay took over as acting Deputy Head when Mr Cheetham retired. Mr Stratford - Deputy Head. He also taught us Physics. Miss Cowton - Chemistry & Biology. Don't remember her. Mr Gullet - Maths. Don't remember him. Miss Lilley - English. Don't remember her. Mrs Masters - Maths. Don't remember her. Mr Amos - English. Don't remember him. Mr Carter - PE. Don't remember him. Miss Gilson - English. Don't remember her. Mrs Wright - Modern Languages. Mrs Yeoman - Science. Don't remember her. I know some of these were after your time, so you wouldn't remember them. I haven't set foot on the site since leaving in the summer of 1991, but I can see from driving down the roads near the school that there have been a lot of changes with new buildings going up. The biggest change while I was there was that the upper sixth common room moved from the 'old building' into what used to be the Technical Drawing office. Our year was the first to use it and we painted it in our choice of colour. I remember a lot of black! Would the patch of grass which was a "no-mans land" be the rather nice sunken Italian garden? House names used to be Australia, Canada, South Africa and New Zealand, I believe. Thanks Scintilla, an excellent list. Filled in a few gaps in my memory too. I'm an Old Boy from the 70's (1970-77). Here's the full list of teaching staff taken from the programme for the Annual Prizegiving the year I left. Headmaster: Mr. S. G. Gregory, B.A., B.D. Deputy Headmaster: Mr. J. A. Cheetham, D.S.E. G. Fuller, Cert. Ed. P.E. Some things worthy of note....between the old building and the new building there was a patch of grass which was a no-mans land for students. I'd heard of multiple detentions being handed out for kids inattentive or suicidal enough to stray onto this grass. I went back to the school back in the mid-90's because my ex's kid-brother was competing in some after-school thing and had a chance to wander round with my thoughts, and this patch of grass is now home to a huge new building. I found it amusing that that patch of grass, so lovingly protected over the years, became a building site and then the site for a new building! The year I started there, they replaced the house names. I think they were named after continents or parts of the British Empire, and then became Achilles (red), Blake (green) and Challenger (blue) after ships built at the dockyard if I remember correctly. The school website now says they have six houses. Always found it strange that despite having a perfectly usable rugby pitch out the front of the school, we were made to get a coach up to the Marconi fields and play in the freezing horizontal wind among the broken glass where people walked their dogs. I was there up to 1969 and many of those names are familar, my two sons went there later as well. I helped to move the Chemistry equipment from the old biulding at Luton Arches up to the new school. There a few people from that era on the Friends Re united site. I got to know Ellis Lees through Luton church later. I was there '65-70. 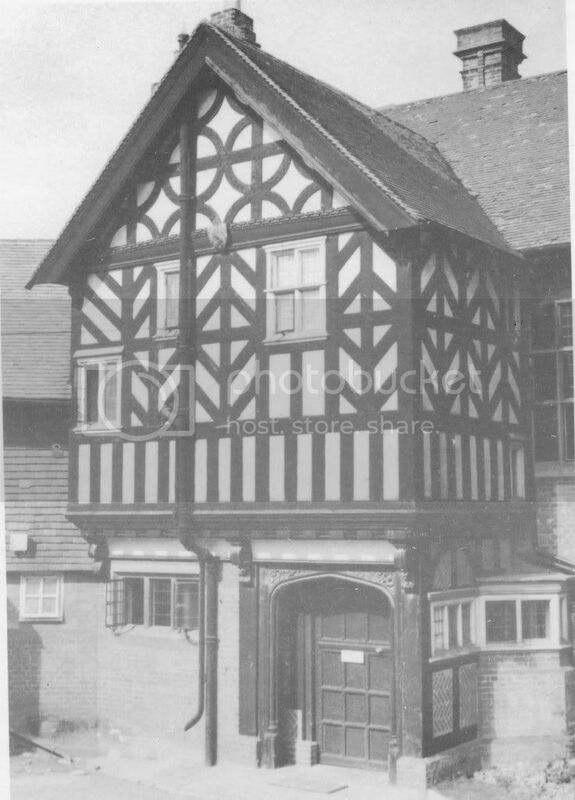 The new extension was just being finished, so for a while we still had to go down to Chatham near the Technical institute for metal and woodwork. I recognize some of the teachers on your list. Gregory took over from "Pop" Surman while I was there. Went here from 1980 to 1985. Even then I found the old building fascinating, especially the observatory which, contrary to school rules, I managed to gain access to one day. Lots of old graffiti from students long since gone. 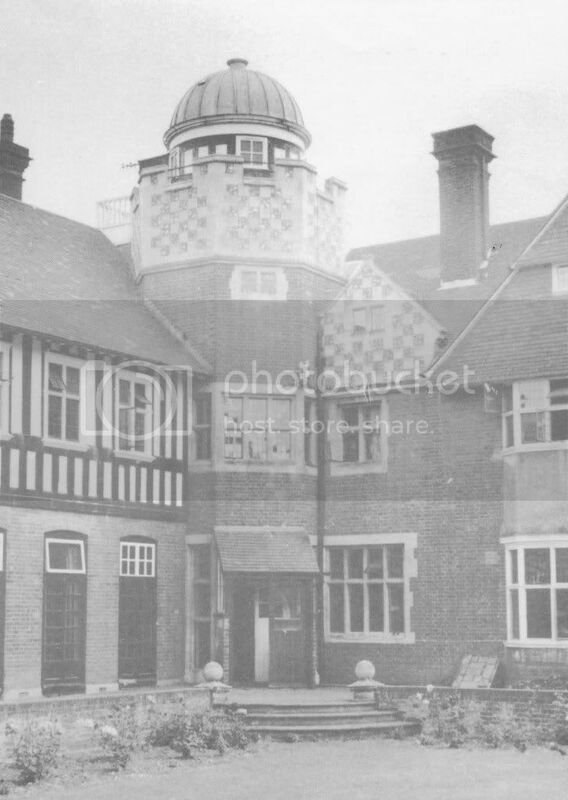 From their website, they say "the school occupies an attractive half-timbered black and white building, formerly a manor house owned by George Winch, a one time Mayor of Chatham, and part of his estate known as Holcombe." 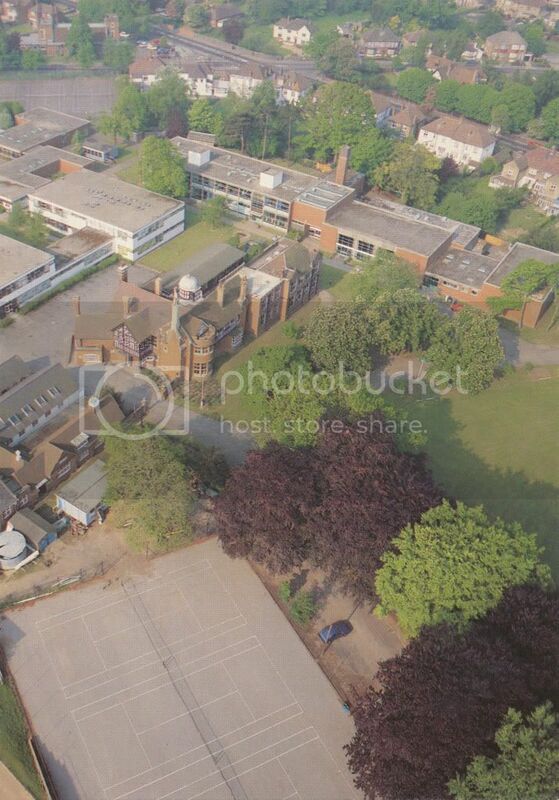 Would love to see any photos of the school if anyone has any, or any of the "whole school" photos which were a large part of life there every few years. I must be in two by my recollection.